December 21st, the Winter Solstice, is an astronomical phenomenon marking the shortest day and the longest night of the year, often considered the “extreme of winter.” Worldwide, interpretation of the event varies across cultures. Many come together to recognize rebirth involving holidays, festivals, gatherings, rituals, and more. This year, Cathedral Voices Choir will sing carols around a bonfire and Wyoming Stargazing will show you the planets up close with their telescopes. 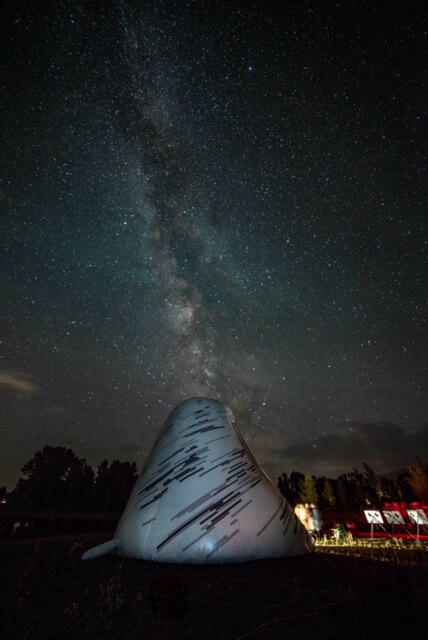 There will also be a special seasonal glow installation provided by Jackson Hole Public Art. There will also be warm drinks, chili, and of course sledding! Welcome to our new Program Directors! 2016 Fall/Winter Open Lands Newsletter Available Online!